von Stein, A., & Sarnthein, J. (2000). Different frequencies for different scales of cortical integration: from local gamma to long range alpha/theta synchronization. Int J Psychophysiol, 38(3), 301-313. VanRullen, R., & Koch, C. (2003). Is perception discrete or continuous? Trends Cogn Sci, 7(5), 207-213. Buzsaki, G., & Draguhn, A. (2004). Neuronal oscillations in cortical networks. Science, 304(5679), 1926-1929. Lakatos, P., Karmos, G., Mehta, A. D., Ulbert, I., & Schroeder, C. E. (2008). Entrainment of neuronal oscillations as a mechanism of attentional selection. Science, 320(5872), 110-113. 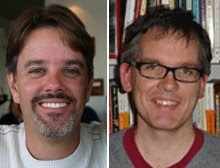 Vanrullen, R., & Dubois, J. (2011). The psychophysics of brain rhythms. Front Psychol, 2, 203. Giraud, A. L., Kleinschmidt, A., Poeppel, D., Lund, T. E., Frackowiak, R. S., & Laufs, H. (2007). Endogenous cortical rhythms determine cerebral specialization for speech perception and production. Neuron, 56(6), 1127-1134. Hanslmayr, S., Gross, J., Klimesch, W., & Shapiro, K. L. (2011). The role of alpha oscillations in temporal attention. Brain Res Rev, 67(1-2), 331-343. Jensen, O., Bonnefond, M., & VanRullen, R. (2012). An oscillatory mechanism for prioritizing salient unattended stimuli. Trends Cogn Sci, 16(4), 200-206. Henry, M. J., & Herrmann, B. (2012). A precluding role of low-frequency oscillations for auditory perception in a continuous processing mode. J Neurosci, 32(49), 17525-17527. Ng, B. S., Schroeder, T., & Kayser, C. (2012). A precluding but not ensuring role of entrained low-frequency oscillations for auditory perception. J Neurosci, 32(35), 12268-12276. Giraud, A. L., & Poeppel, D. (2012). Cortical oscillations and speech processing: emerging computational principles and operations. Nat Neurosci, 15(4), 511-517. Obleser, J., Herrmann, B., & Henry, M. J. (2012). Neural Oscillations in Speech: Don't be Enslaved by the Envelope. Front Hum Neurosci, 6, 250. Peelle, J. E., & Davis, M. H. (2012). Neural Oscillations Carry Speech Rhythm through to Comprehension. Front Psychol, 3, 320. VanRullen, R. (2013). Visual attention: a rhythmic process? Curr Biol, 23(24), R1110-1112. Keitel, C., Quigley, C., & Ruhnau, P. (2014). Stimulus-driven brain oscillations in the alpha range: entrainment of intrinsic rhythms or frequency-following response? J Neurosci, 34(31), 10137-10140. Watrous, A. J., Fell, J., Ekstrom, A. D., & Axmacher, N. (2014). More than spikes: common oscillatory mechanisms for content specific neural representations during perception and memory. Curr Opin Neurobiol, 31C, 33-39. Viemeister, N. F. (1979). Temporal modulation transfer functions based upon modulation thresholds. J Acoust Soc Am, 66(5), 1364-1380. Dau, T., Kollmeier, B., & Kohlrausch, A. (1997). Modeling auditory processing of amplitude modulation. I. Detection and masking with narrow-band carriers. J Acoust Soc Am, 102(5 Pt 1), 2892-2905. Dau, T., Kollmeier, B., & Kohlrausch, A. (1997). Modeling auditory processing of amplitude modulation. II. Spectral and temporal integration. J Acoust Soc Am, 102, 2906. Langner, G., & Schreiner, C. E. (1988). Periodicity coding in the inferior colliculus of the cat. I. Neuronal mechanisms. J Neurophysiol, 60(6), 1799-1822. Langner, G., Sams, M., Heil, P., & Schulze, H. (1997). Frequency and periodicity are represented in orthogonal maps in the human auditory cortex: evidence from magnetoencephalography. Journal of Comparative Physiology A: Neuroethology, Sensory, Neural, and Behavioral Physiology, 181(6), 665-676. Giraud, A. L., Lorenzi, C., Ashburner, J., Wable, J., Johnsrude, I., Frackowiak, R., & Kleinschmidt, A. (2000). Representation of the temporal envelope of sounds in the human brain. J Neurophysiol, 84(3), 1588-1598. Barton, B., Venezia, J. H., Saberi, K., Hickok, G., & Brewer, A. A. (2012). Orthogonal acoustic dimensions define auditory field maps in human cortex. Proceedings of the National Academy of Sciences, 109(50), 20738-20743. Herdener, M., Esposito, F., Scheffler, K., Schneider, P., Logothetis, N. K., Uludag, K., & Kayser, C. (2013). Spatial representations of temporal and spectral sound cues in human auditory cortex. Cortex, 49(10), 2822-2833. Borst, M., Langner, G., & Palm, G. (2004). A biologically motivated neural network for phase extraction from complex sounds. Biol Cybern, 90(2), 98-104. Friedel, P., Burck, M., & Leo van Hemmen, J. (2007). Neuronal identification of acoustic signal periodicity. Biol Cybern, 97(3), 247-260. Muramoto, K., Ichikawa, M., Kawahara, M., Kobayashi, K., & Kuroda, Y. (1993). Frequency of synchronous oscillations of neuronal activity increases during development and is correlated to the number of synapses in cultured cortical neuron networks. Neurosci Lett, 163(2), 163-165. Xing, D., Yeh, C. I., Burns, S., & Shapley, R. M. (2012). Laminar analysis of visually evoked activity in the primary visual cortex. Proc Natl Acad Sci U S A, 109(34), 13871-13876. Jones, M. R., Moynihan, H., MacKenzie, N., & Puente, J. (2002). Temporal aspects of stimulus-driven attending in dynamic arrays. Psychol Sci, 13(4), 313-319. Ghitza, O., & Greenberg, S. (2009). On the possible role of brain rhythms in speech perception: intelligibility of time-compressed speech with periodic and aperiodic insertions of silence. Phonetica, 66(1-2), 113-126. Landau, A. N., & Fries, P. (2012). Attention samples stimuli rhythmically. Curr Biol, 22(11), 1000-1004. Song, K., Meng, M., Chen, L., Zhou, K., & Luo, H. (2014). Behavioral oscillations in attention: rhythmic alpha pulses mediated through theta band. J Neurosci, 34(14), 4837-4844. Busch, N. A., Dubois, J., & VanRullen, R. (2009). The phase of ongoing EEG oscillations predicts visual perception. J Neurosci, 29(24), 7869-7876. Dugue, L., Marque, P., & VanRullen, R. (2011). The phase of ongoing oscillations mediates the causal relation between brain excitation and visual perception. J Neurosci, 31(33), 11889-11893. VanRullen, R., & Macdonald, J. S. (2012). Perceptual echoes at 10 Hz in the human brain. Curr Biol, 22(11), 995-999. Neuling, T., Rach, S., Wagner, S., Wolters, C. H., & Herrmann, C. S. (2012). Good vibrations: oscillatory phase shapes perception. Neuroimage, 63(2), 771-778.
de Graaf, T. A., Gross, J., Paterson, G., Rusch, T., Sack, A. T., & Thut, G. (2013). Alpha-band rhythms in visual task performance: phase-locking by rhythmic sensory stimulation. PLoS One, 8(3), e60035. Spaak, E., de Lange, F. P., & Jensen, O. (2014). Local entrainment of alpha oscillations by visual stimuli causes cyclic modulation of perception. J Neurosci, 34(10), 3536-3544. Luo, H., & Poeppel, D. (2007). Phase patterns of neuronal responses reliably discriminate speech in human auditory cortex. Neuron, 54(6), 1001-1010. Melloni, L., Molina, C., Pena, M., Torres, D., Singer, W., & Rodriguez, E. (2007). Synchronization of neural activity across cortical areas correlates with conscious perception. J Neurosci, 27(11), 2858-2865. Henry, M. J., & Obleser, J. (2012). Frequency modulation entrains slow neural oscillations and optimizes human listening behavior. Proc Natl Acad Sci U S A, 109(49), 20095-20100. Ilhan, B., & VanRullen, R. (2012). No counterpart of visual perceptual echoes in the auditory system. PLoS One, 7(11), e49287. Pena, M., & Melloni, L. (2012). Brain oscillations during spoken sentence processing. J Cogn Neurosci, 24(5), 1149-1164. Peelle, J. E., Gross, J., & Davis, M. H. (2013). Phase-locked responses to speech in human auditory cortex are enhanced during comprehension. Cereb Cortex, 23(6), 1378-1387. Doelling, K. B., Arnal, L. H., Ghitza, O., & Poeppel, D. (2014). Acoustic landmarks drive delta-theta oscillations to enable speech comprehension by facilitating perceptual parsing. Neuroimage, 85 Pt 2, 761-768. Kosem, A., Gramfort, A., & van Wassenhove, V. (2014). Encoding of event timing in the phase of neural oscillations. Neuroimage, 92, 274-284.
ten Oever, S., Schroeder, C. E., Poeppel, D., van Atteveldt, N., & Zion-Golumbic, E. (2014). Rhythmicity and cross-modal temporal cues facilitate detection. Neuropsychologia, 63, 43-50. Henry, M. J., Herrmann, B., & Obleser, J. (2014). Entrained neural oscillations in multiple frequency bands comodulate behavior. Proc Natl Acad Sci U S A, 111(41), 14935-14940. Strauss, A., Kotz, S. A., Scharinger, M., & Obleser, J. (2014). Alpha and theta brain oscillations index dissociable processes in spoken word recognition. Neuroimage, 97, 387-395. Morillon, B., Schroeder, C. E., & Wyart, V. (2014). Motor contributions to the temporal precision of auditory attention. Nat Commun, 5, 5255. Monto, S., Palva, S., Voipio, J., & Palva, J. M. (2008). Very slow EEG fluctuations predict the dynamics of stimulus detection and oscillation amplitudes in humans. J Neurosci, 28(33), 8268-8272. Haegens, S., Nacher, V., Hernandez, A., Luna, R., Jensen, O., & Romo, R. (2011). Beta oscillations in the monkey sensorimotor network reflect somatosensory decision making. Proc Natl Acad Sci U S A, 108(26), 10708-10713. Haegens, S., Nacher, V., Luna, R., Romo, R., & Jensen, O. (2011). alpha-Oscillations in the monkey sensorimotor network influence discrimination performance by rhythmical inhibition of neuronal spiking. Proc Natl Acad Sci U S A, 108(48), 19377-19382. Haegens, S., Vazquez, Y., Zainos, A., Alvarez, M., Jensen, O., & Romo, R. (2014). Thalamocortical rhythms during a vibrotactile detection task. Proc Natl Acad Sci U S A, 111(17), E1797-1805. Horschig, J. M., Zumer, J. M., & Bahramisharif, A. (2014). Hypothesis-driven methods to augment human cognition by optimizing cortical oscillations. Front Syst Neurosci, 8, 119.